Good start Himanshu, there is a long way to go. keep up the same spirit. 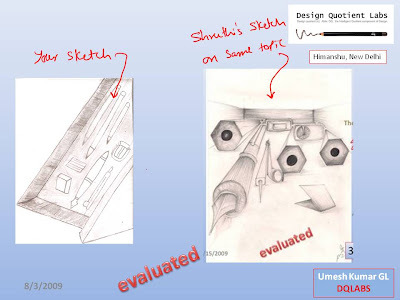 correct your sketch as per the feedback. submit one more 3d rendering. 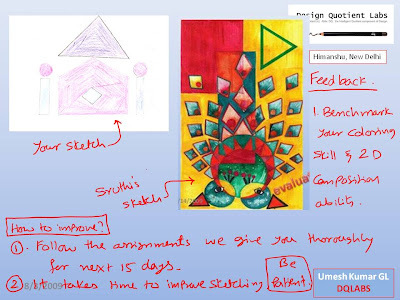 submit the pending 2d composition and coloring assignment. 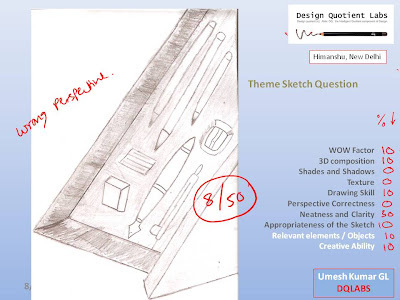 You will have to put double the effort in improving your sketching skills patiently.you lack sketching skills in all the 3 areas - 2d, 3d and theme sketching. Lets start with coloring and 3d composition rendering. i have sent you some assignments by email regarding the same. 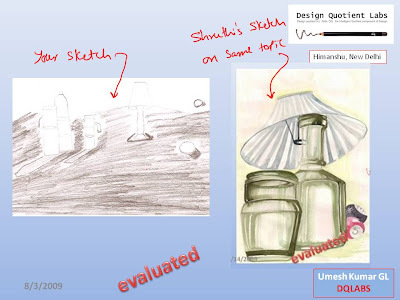 replicate them as exactly as possible including the color intensity and the feel of the sketches. Give in your best. if you can do 1 coloring and 1 3d rendering immaculately clean, you would learn a lot. 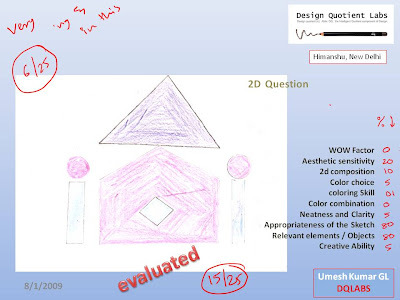 so take you time and replicate them nicely( take a print out of the assignemnts and copy from the hard copy) Dont submit shabby sketches, i will not evaluate or give feedback for them. 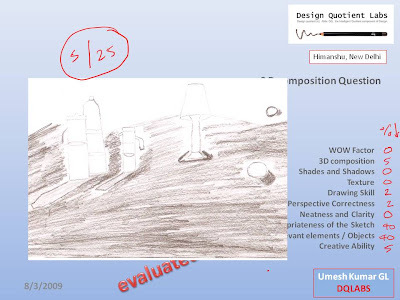 Submit the 3d composition sketch to proceed further with sketch development course.